Scandinavian Modern designed, rare teak and leather model Roundette dining table and six chairs. The table expands from a round that accommodates four chairs neatly tucked around its outer rim, up to an expansive roundel which you can then pull up the extra pair of chairs to. Simply designed by Hans Olsen this Iconic piece is timeless in its design and has been loving restored, polished and reupholstered in Italian black leather by our craftsman and women. 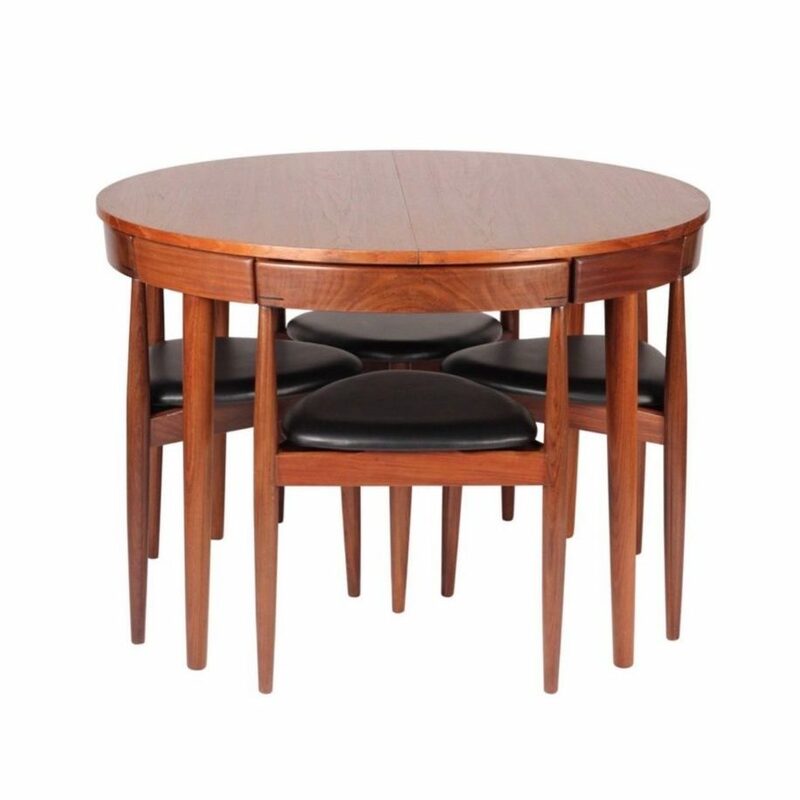 Scandinavian Modern designed, teak and leather model Roundette dining table and six chairs. The table expands from a round that accommodates four chairs neatly tucked around its outer rim, up to an expansive roundel which you can then pull up the extra pair of chairs to. Simply designed by Hans Olsen this Iconic piece is timeless in its design and has been loving restored, polished and reupholstered in Italian black leather by our craftsman and women. Minimum price for the offer must be greater than 4984% of the Product.